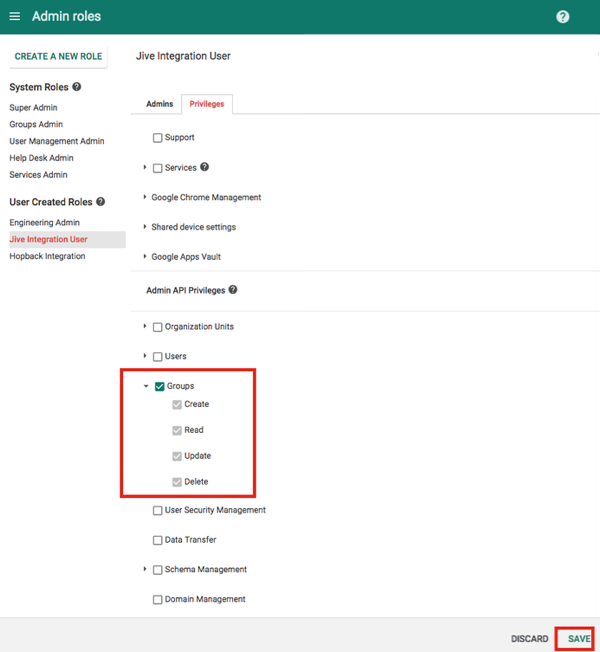 You need to assign this Google integrated user all Groups permissions in API Privileges to make this Jive for Google Docs integration work. To add permissions for your Google integrated user, you need to create a new role in the Google Docs Admin API, and add the permissions to this role. Then assign the role to the Jive Integration user. Go to Google Admin Console > Admin Roles as shown in the following image. When the Admin Roles dialog opens, click CREATE A NEW ROLE as shown in the following image. In the Create New Role dialog, give your new role a name, for example, Jive Integration User. Click Privileges and select Groups (all permissions) as shown in the following image. Now you need to assign the newly created role to the integration user. 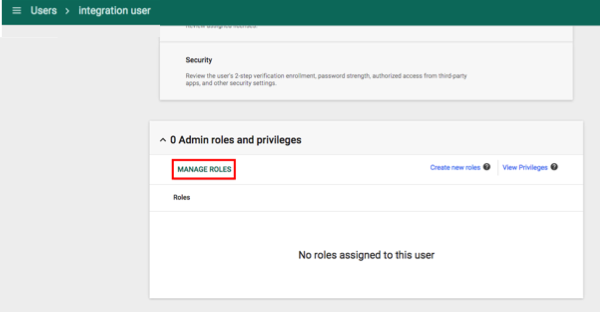 To do this, go to Google Admin Console > Users > integration user > show more > Admin roles and privileges > MANAGE ROLES as shown in the following image. 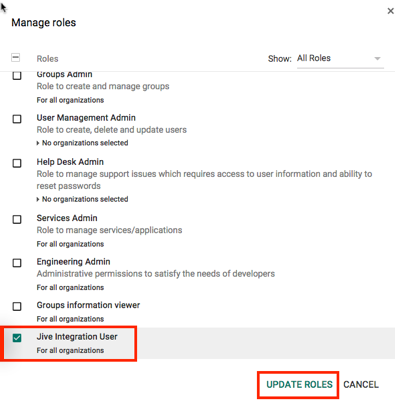 When the Manage Roles dialog opens, select Jive Integration User > UPDATE ROLES as shown in the following image.